Represented by Vice President Yemi Osinbajo, the President said the nation was proud of the contributions of the armed forces for ensuring peace, justice, freedom and prosperity of the nation. Buhari noted that the reputation of the armed forces for courage and service had often been noted not only at home but also abroad especially the military’s contributions to several international peace keeping missions. He specifically mentioned Nigeria’s military and heroic operations in Congo, Liberia, Sierra Leone and Dafur. 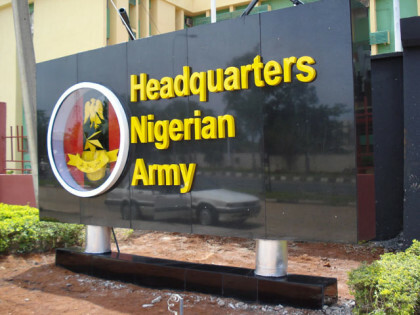 He expressed gratitude of the nation to the military, adding “we are confident and we pray that with God on our side, the armed forces of Nigeria will complete the work that they have started. Buhari acknowledged the support of Nigeria’s foreign partners in the fight against terrorism adding that their contributions and encouragement had been worthwhile.